Is Bath Salts Aftercare Necessary? What is Bath Salts Aftercare? Upon completion of rehab, individuals are still in early recovery and vulnerable to relapse as they adjust to life in the community without the structure, support, and safeguards provided at the rehab facility. Aftercare provides support during this time. Continued support in the form of counseling through outpatient treatment providers. 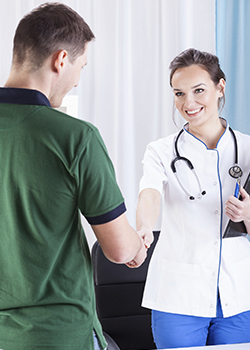 Medical care to monitor physical health and medications. While effective methods of continuing care following rehab for bath salts addiction have not yet been identified, research suggests particular characteristics of effective programs include longer duration of continuing care and persistent efforts by support personnel to retain individuals in treatment. The most common chemicals found in bath salts share many characteristics with the stimulant class of drugs. Psychosocial interventions aimed at behavior change, especially those involving rewards and other positive reinforcements, have shown to be effective in the treatment of stimulant addiction. Above all, the most important factor in continuing care and any treatment program is that the program is individualized to meet specific needs as there is no one-size-fits-all approach. Asking for help can be one of the most difficult decisions when struggling with addiction. If you or a loved one is experiencing the heavy burden of a bath salts addiction but are unsure of where to turn for help, call 1-888-993-3112Who Answers? to speak to one of our treatment team members - available to take your confidential call 24 hours a day. Learn to cope with cravings. Modify unhealthy or negative patterns of thinking that may lead to using. Develop problem solving and drug refusal skills. Establish avoidance strategies and activities that promote abstinence. Relapse prevention interventions have been highlighted in research on treatment for stimulant addictions and may also hold benefits for the treatment of addiction to bath salts. Connect with others Maintaining abstinence from bath salts following treatment is a solid goal but should not always be the sole priority. Reductions in use and harms associated with using must be considered a major accomplishment. Addiction is a chronic condition characterized by periods of remission and relapse, the progression of severity over time, and may lead to severe consequences such as disability or death if untreated. It is often compared to other chronic medical conditions due to these similar characteristics and shares similar rates of relapse that is a common and expected occurrence. Relapse rates for addiction (40 to 60%) have been reported and compared to that of type I diabetes (30 to 50%) and hypertension (50 to 70%). Despite these similarities, success in recovery is not always evaluated accordingly and while a reduction in symptoms may be considered a success for chronic medical conditions, any continued drug use after a period of abstinence may seem like complete failure. Continuing care involves a lesser degree of formal and structured treatment found in rehab and a greater reliance on self-help and community resources such as participation in 12-Step programs or similar support networks. Continuing care may also include monitoring by treatment staff to provide additional support in early recovery, assist with skill building in areas of life affected by addiction, and address medical and psychiatric symptoms and conditions. Remember that rehab is a powerful tool to aid in recovery but should be followed by continuing care. If you or a loved one is considering rehab for addiction to bath salts and want to learn about continuing care options in your area, call to speak to one of our treatment support staff at 1-888-993-3112Who Answers?. Currently--since there are no approved medications--psychosocial treatments have been identified as the only effective approaches for addiction to bath salts. The interventions that have been most promising according to research include Contingency Management and similar therapies, which involve the use of motivational incentives to engage in treatment. Other approaches for stimulant addictions backed by research include the Community Reinforcement Approach and the Matrix Model. When developing a continuing care plan it is important to learn about the counseling options available to you. 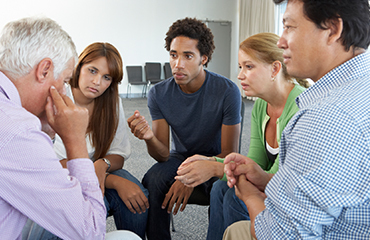 This is a type of therapy that introduces and encourages individuals in treatment to attend and participate in 12-Step self-help groups such as Alcoholics Anonymous and Narcotics Anonymous. The therapy sessions serve as an added support for those following a 12-Step approach to recovery. There is currently no information specifically regarding bath salts addiction and 12-Step facilitation treatment; however, 12-Step program participation has shown to be effective for abstinence from alcohol and other drugs. Bath salts abuse can cause significant harm both physically and psychologically. A continuing care plan may include follow-up medical care to monitor any organ damage suffered during the use of bath salts, residual paranoia, and other psychological disturbances known to occur with use. Some patients have reported acute renal failure for which dialysis was required even 6 months after treatment. Electrolyte levels, blood glucose and blood pressure should be monitored during this time. 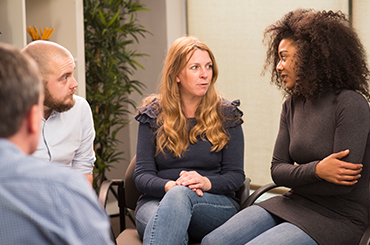 Research stresses the importance of continued psychiatric consultation after the acute recovery phase is over. Psychosis-like symptoms and memory impairment has been reported even weeks after acute hospitalization. Bath salts can compromise both cardiovascular and psychiatric health; therefore persons who are at a greater risk of harm from bath salts are those with heart conditions and co-occurring psychiatric disorders. A stay in a sober living community may be helpful after rehab for bath salts addiction if an individual is not ready for the return to life at home and outpatient aftercare. Time spent in a sober living community among others in recovery allows for a continued development of skills and behaviors needed to maintain a clean and sober lifestyle. Contingency management interventions involve immediate reinforcement with positive or negative consequences that depend on an individual's behavior in treatment. Treatment is a long process and the lack of tangible rewards can increase the potential for dropout or relapse. Contingency management provides positive reinforcement such as vouchers, prizes, and other rewards in exchange for desired behaviors, such as abstinence from using (verified through urine testing), attendance and participation in counseling sessions, and completing treatment objectives. Although bath salts are a relatively new drug with a limited research base they are similar in their effects to other stimulants, and contingency management interventions have been researched extensively and are reported to have the highest level of evidenced-based support for the treatment of stimulant users. Another benefit of contingency management is its compatibility with other therapeutic methods for addiction treatment, as the system of rewards and punishments can be implemented in treatment plans to promote abstinence and client retention in a program. A common example of this compatibility is the Community Reinforcement plus Vouchers Approach, which has shown efficacy in multiple clinical trials and is a recommended treatment approach for stimulant use disorders. Addiction can be devastating not only for the drug user but also family and friends. Strained relationships during active drug use may not be fixed immediately following completion of rehab and are an important consideration when developing an aftercare plan. Family members and friends can provide support for those in recovery by attending family-based therapies delivered by counseling professionals and helping to maintain a safe and supportive environment at home. 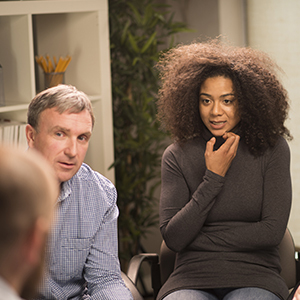 Family members may also need psychosocial support for themselves and receive individual therapy aside from family counseling or attend support groups specifically for loved ones of those in recovery such as Al-Anon and Nar-Anon.